Home Renovations: Australia’s Next Building Boom? The latest data collected by the Housing Industry Association (HIA) suggested that the residential building industry will become more dependant on work related to home renovations in the coming years. 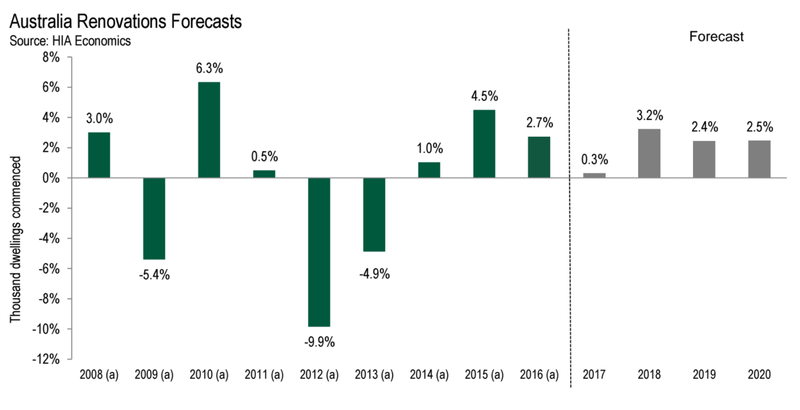 “2016 marked the strongest year since WWII for new home building starts in Australia but our forecasts indicate that activity is set to decline on this front over the next three years,” HIA Senior Economist Shane Garrett said. He said in this context, our industry will become more dependent on work related to home renovations activity and many are surprised to learn that renovations currently account for about one third of all residential building work. "By the end of the decade, renovations activity is likely to represent some 42 per cent of all residential building activity," he said. “Detached house building in Australia reached very high levels between 1985 and 1995. This large stock of homes is becoming increasingly ripe for major renovations work. Added to the mix are remarkably low interest rates and the big home equity windfalls in Sydney and Melbourne – pretty ideal conditions for renovations demand. “At the moment, the one key difficulty for the renovations market is the fact that turnover in the established house market is falling," Mr Garrett said,"This is an important driver of demand, and prospects for renovations growth would be even stronger if transactions on this side of the market started to increase again. "According to the March 2017 edition of the HIA Renovations Roundup report, renovations activity grew by 2.7 per cent in 2016 to $33.06 billion. The pace of growth was projected to slow to just 0.3 per cent in 2017, before reaching 3.2 per cent in 2018. 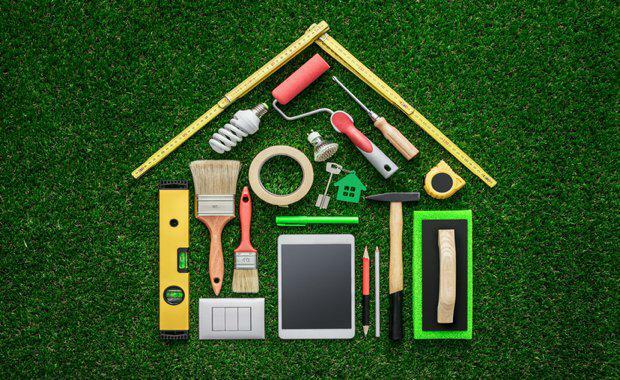 Further growth in 2019 (+2.4 per cent) and 2020 (+2.5 per cent) was expected to bring the value of home renovations activity in Australia to $35.94 billion.